Tired of being frustrated learning how to play the guitar, or having a hard time following a guitar cheat sheet? You can finally have a good grasp on the guitar with Fret Zeppelin, a state-of-the-art full spectrum LED guitar learning and display system. It takes off the stigma of difficulties trying to learn to play the guitar, with an added element of fun and interaction that has never before seen in any guitar learning techniques. Fret Zeppelin is aiming to become a go-to tool for anyone who wants to put the playing the guitar as one of their skill sets. What makes Fret Zeppelin a smart solution for guitar learning is its easy-to-use approach. 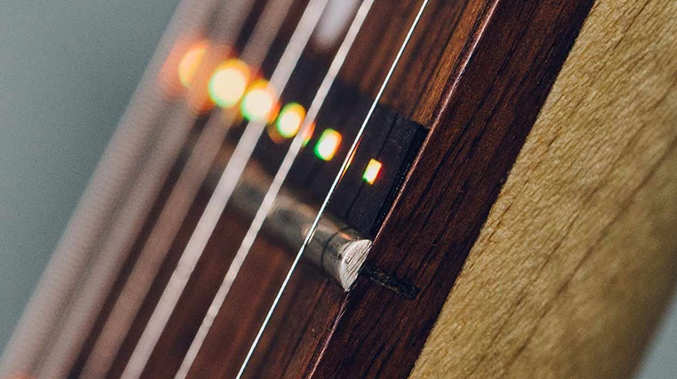 It takes the form of flat strips of LEDs that sit directly below the strings, just beside the frets (that’s why it’s called “Fret Zeppelin”). 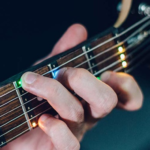 These tiny light bulbs are wirelessly connected to your smartphone via the Fret Zeppelin mobile app, which works in perfect sync with your chosen guitar song piece, and blinks appropriately to guide your fingers in selecting the right chords as you play it. 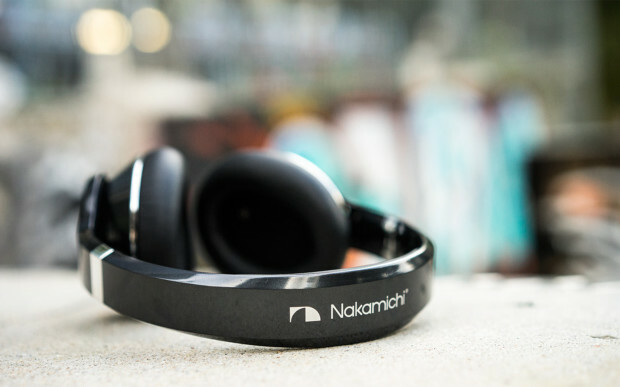 With its clever design, it makes it possible for you to clearly see the next chord combinations without any obstructions and keep your fingers moving seamlessly from one string to the next. In three steps, Fret Zeppelin will allow you to make your way towards mastering the guitar. First, get any acoustic or electric guitar of your choice. Next, install both the Fret Zeppelin mobile app on your smartphone and the LED strips on the neck of your guitar. Finally, choose the guitar piece you’d like to jam and that’s it! The Fret Zeppelin mobile app is a powerful tool for your guitar learning experience. 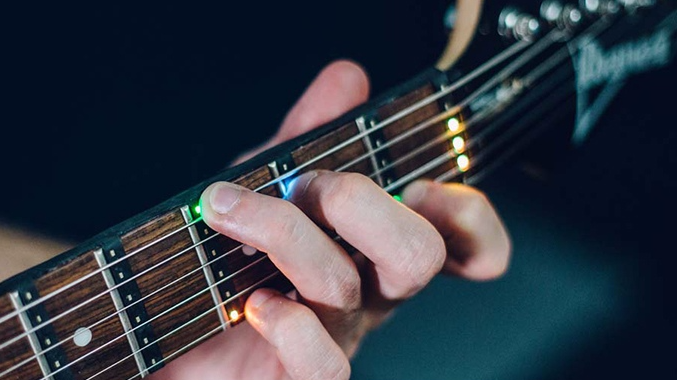 Working seamlessly together with the Fret Zeppelin LED strips, it provides tools to intuitively guide your way on your next jam. You can easily launch a song to play right from the app, which fires it to the guitar and guide you with the chord lights. It caters to a variety of playing styles, ranging from folk and blues to classic and modern rock, providing you plenty of room to explore your guitar. The app also features a highly accurate custom tone tuning feature, so you can tune your guitar with utmost ease and convenience. 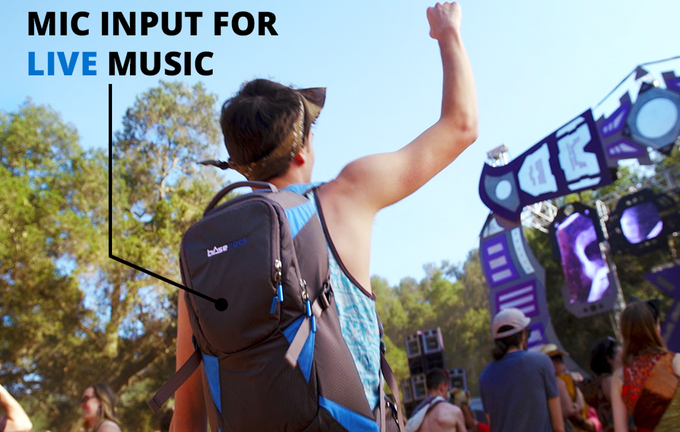 The LED strips can also be configured to render various lighting effects and patterns based on what you play, enhancing your jamming experience. If you think you can’t have your hands on playing the guitar like a pro, think again. The Fret Zeppelin features an ergonomic design and a user-friendly approach to learning the guitar, allowing anyone to push their limits and unleash their hidden potential in guitar playing.